ZERO DEPOSIT Solar panels – No Deposit NOW! You Are Here: Home / SOLAR NEWS: Our Blog / Uncategorized / ZERO DEPOSIT Solar panels – No Deposit NOW! Why is it a good idea to buy solar power on Finance? We are now excited to say that we have zero deposit solar panels on offer! 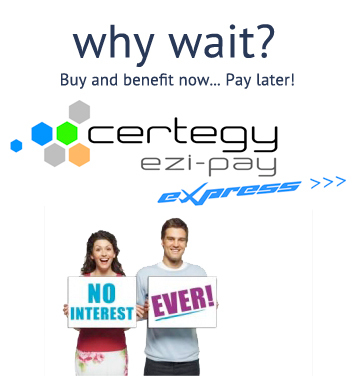 With the assistance of Certegy Ezi-pay finance we can now install solar panels on your commercial business or residential house roof without you having to pay a cent! Because it is positively geared from the very beginning. This meaning the very moment the solar PV system is on your roof generating electricity, it is making more money for you than you had paid for it. For example, if you paid $4995 for a solar system it is going to take you roughly 3 years for you to get your money back, isn’t it? But if you bought a solar system using our best inverter for a total of $6995 on finance and made a $0 zero deposit solar panels purchase for it, and you have made 6 payments on $80 fortnight, which is $480 paid in a Quarter to Certegy Finance for financing the solar power system. But if the Solar power system has made you a very conservative figure of $500 in solar power credit, you are $20 ahead, and have made your initial outlay back. Actually, you are getting free money. By installing a zero deposit solar panels system you are making it cheaper on yourselves by not installing one at all! The man who pays $4995 cash price up front for a solar system can wait up to 3 years to get his money back doesn’t he? But the man who finances his system for $6995 on zero deposit solar panels, doesnt even pay a cent for his solar power system in Brisbane. In Fact, he is making money from the solar power system installed. Compared to if he was still paying his Click Energy Electricity bill. Get a solar system quote today .